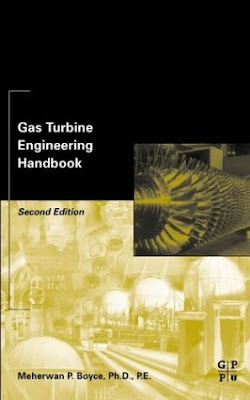 Gas Turbine Engineering Handbook discusses the design, fabrication, installation, operation, and maintenance of gas turbines. The third edition is not only an updating of the technology in gas turbines, which has seen a great leap forward in the 2000s, but also a rewriting of various sections to better answer today's problems in the design, fabrication, installation, operation, and maintenance of gas turbines. The third edition has added a new chapter that examines the case histories of gas turbines from deterioration of the performance of gas turbines to failures encountered in all the major components of the gas turbine. The chapter on Maintenance Techniques has been completely rewritten and updated. The revised chapter deals with Long Term Service Agreements (LTSAs), and special maintenance tables have been added so that you can troubleshoot problems on gas turbines that you may encounter. The new advanced gas turbines have firing temperatures of 2600 ~ (1427 ~ and pressure ratios exceeding 40:1 in aircraft gas turbines, and over 30:1 in industrial turbines. This has led to the rewriting of Chapter 7, to fully understand the operating mechanics of these high pressure ratio axial-flow compressors. The chapter covers in detail the advent of surge, and describes in great detail the different mechanisms of surge, rotating stall, and choke flow conditions in the compressor of the gas turbine. Advances in materials and coatings have spurred this technology, and the new edition has treated this new area in great detail. The emphasis on low NOx emissions from gas turbines has led to the development of a new breed of Dry Low NOx combustors, and their problems are dealt with in depth in this new edition. The third edition deals with an upgrade in the design and maintenance of advanced gas turbines and deals with most of the applicable codes both in the area of performance and mechanical standards. The new edition has been written with the experienced engineer in mind who is working in power plants, and in petrochemical and offshore installations. This edition should help him or her understand more clearly problems encountered in the field, and how to prevent them.